The Taiwanese President is currently on a four-day state visit to the Gambia, where he was treated to a diverse cultural performance which incorporated routines by both Taiwanese and Gambian performers. As part of the ongoing four-day state visit to The Gambia by the Taiwanese president, His Excellency Ma Ying-Joeu, a spectacular cultural performance dubbed "the cultural night" was yesterday night [12 April 2012] staged in Kanilai, the native village of the Gambian leader, His Excellency Sheikh Professor Alhaji Dr Yahya Jammeh. Attended by thousands of spectators including the vice president and minister of Women's Affairs, Her Excellency Aja Dr Isatou Njie-Saidy, ministers and senior government officials of both countries, the evening cultural extravaganza was presided over by the leaders of the two countries. The event saw exciting performances by the accompanying students of the National Taiwan University of Arts, who thrilled the gathering with their diverse and unique artistic talents that depict the very fabric of their society. Among the cultural pieces performed by them included, "in praise of the mountain, light at a glance, banquette dance, love for my home town - Taiwan, rolling around the world, amongst a host of other performances. While the Taiwanese amazed the convergence with their cultural talents, the Gambian side also made their mark at the event. They performed what is known as the "kumpo dance" a Jola cultural heritage, as well as wrestling, a game believed to be one of Africa's oldest sporting disciplines tracing its roots from centuries ago. The cultural performance, included in the program of activities of this presidential visit, is underpinned by the fact that cultural understanding is key to strengthening of ties between the two ally nations that have different social and cultural settings. 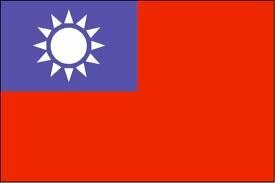 "By combining traditional Chinese culture and modern concepts, Taiwan has been showing the world its dedication to innovation and has been leveraging its unique culture as a formidable component of Taiwan's soft power," stated President Ma in the Taiwanese Cultural Performance leaflet provided to the press corps. "I earnestly anticipate that arts can play an instrumental role in deepening friendships, fostering mutual understanding and allowing us to appreciate each other's culture, thus laying a strong multi-layered foundation for future cooperation," he added. President Ma Ying-Jeou's activities in The Gambia continue today [13 April 2012] with a visit to selected sites.